On 26th, April 2018. The 4th annual oil & gas convention came to a successful end in Kampala. With the topic of “regional collaboration for first oil 2020”, the conference aimed at discussing the cooperation opportunities of Eastern African enterprises in the oil and gas industry. Approximately 120 people attended including the President of the Republic of Uganda, Yoweri Museveni, the chairman of Uganda Energy and Mining Association, the chairman of UNOC, the representatives of Total as well as the representatives of China-invested enterprise in Uganda, etc. attended the conference. 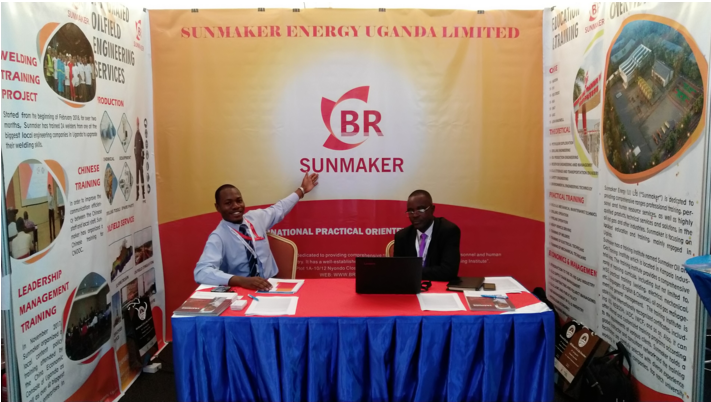 As the sponsor, Sunmaker Energy Uganda Limited (hereinafter referred to as “Sunmaker”) attended the conference as invited and showed the solutions and successful stories of the company in oil and gas skills training, language training and oil and gas field services. The conference not only enhanced the relationship with the existing clients, but also developed cooperation possibilities with a great number of potential clients, thus setting the foundation for further market expansion. 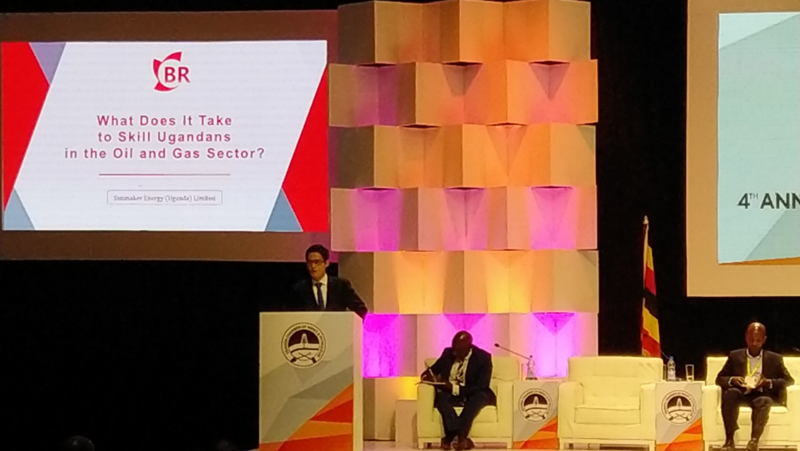 Gong Zhiwu, the training supervisor of Sunmaker delivered the speech under the title of “what does it take to skill Ugandans in the Oil and Gas sector?” and made a detailed report on the company. Recognition and compliments were received from the guests present and other in the audience. The first oil of Uganda is expected to be explored in 2020. Sunmaker will continue to pursue the mission of “in Uganda, for Ugandans” and cultivate more petroleum talent for Uganda.